reviously, it was quite a bit of extra work and building in order to create a site in Adobe Muse with higher resolution graphics for Retina Displays. 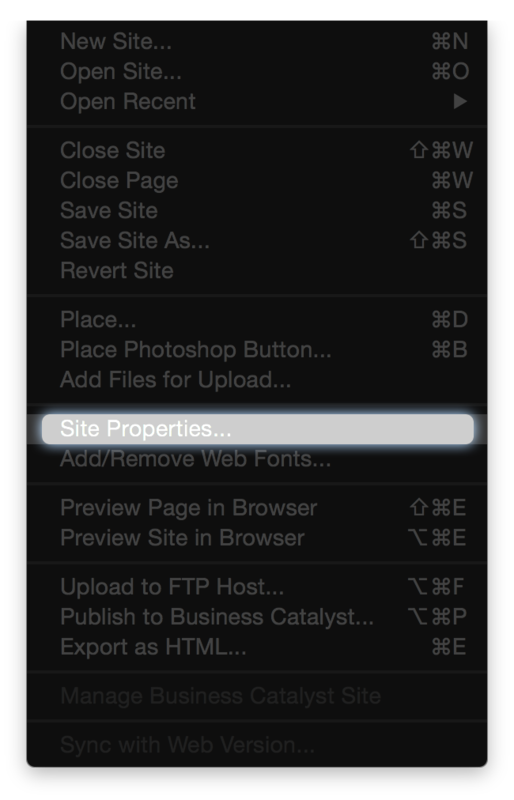 Now its simply a matter of clicking File > Site Properties then clicking on the "Content" tab at the top. 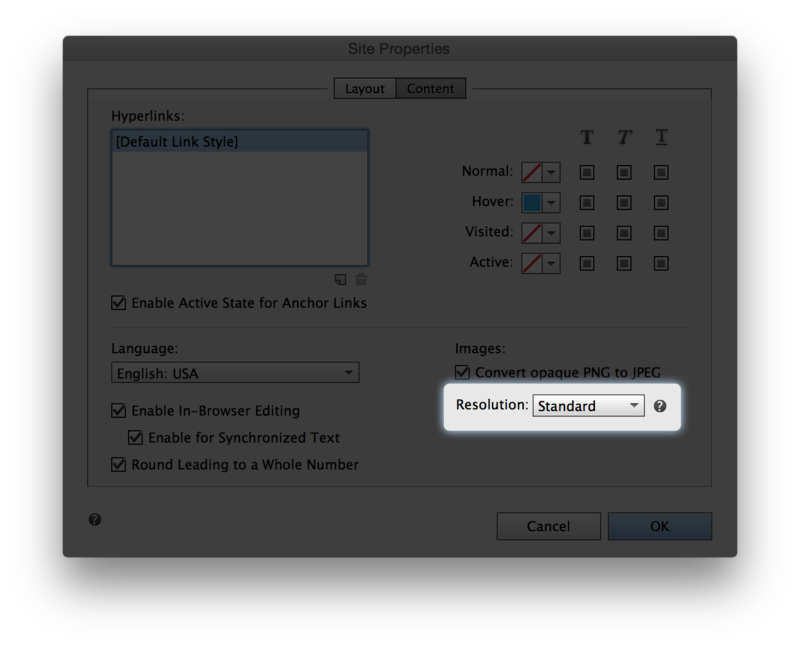 Now find the dropdown menu next to "Resolution" and switch it from "Standard" to "HiDPI (2X)". Now you can continue designing your site using graphics that are twice as wide and tall as your normal dimensions and Muse will intelligently delegate which graphics the viewers computer should load. Get more details from the YouTube Tutorial.